“Do not expect a lot from doctors and politicians. The things can only be changed by us, aware and determined ordinary people”, the president of EFVV Kris Gaublomme has noted. 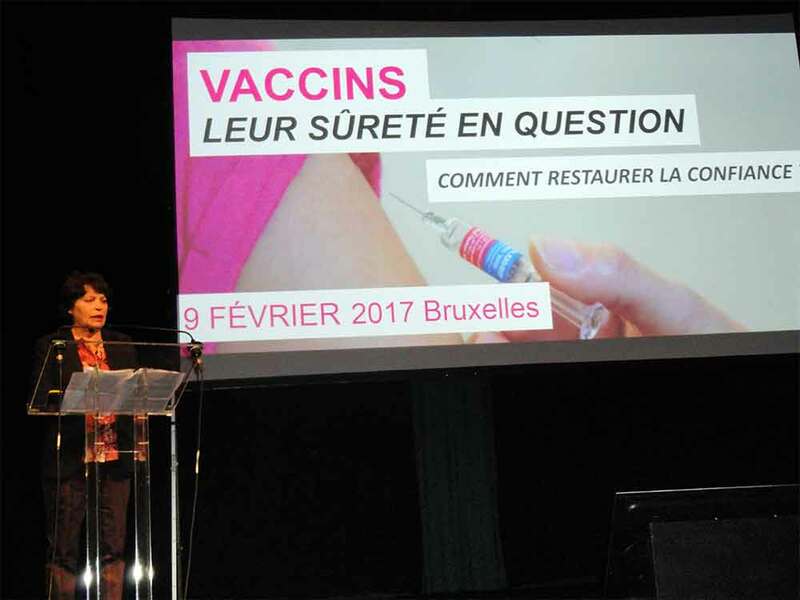 On February 9 this year, an all-day event under the title “Vaccine – Safety in Question” was held at Brussels. 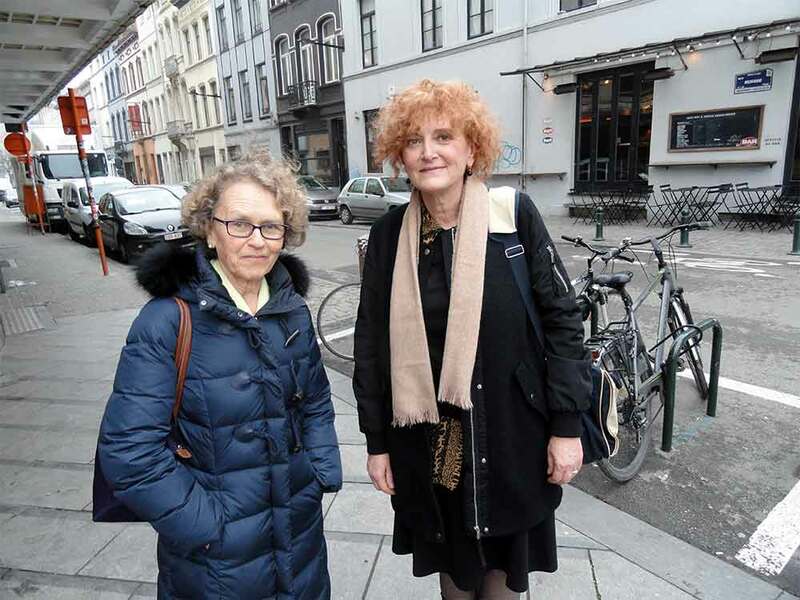 The event was organized by the European Forum for Vaccine Vigilance, of which the Croatian Association for the Promotion of Patients’ Rights is a member, and French MEP Michèle Rivasi. The first part of the event that was meant to take place at the European Parliament was cancelled a few days prior to the event and a change of venue was necessary. 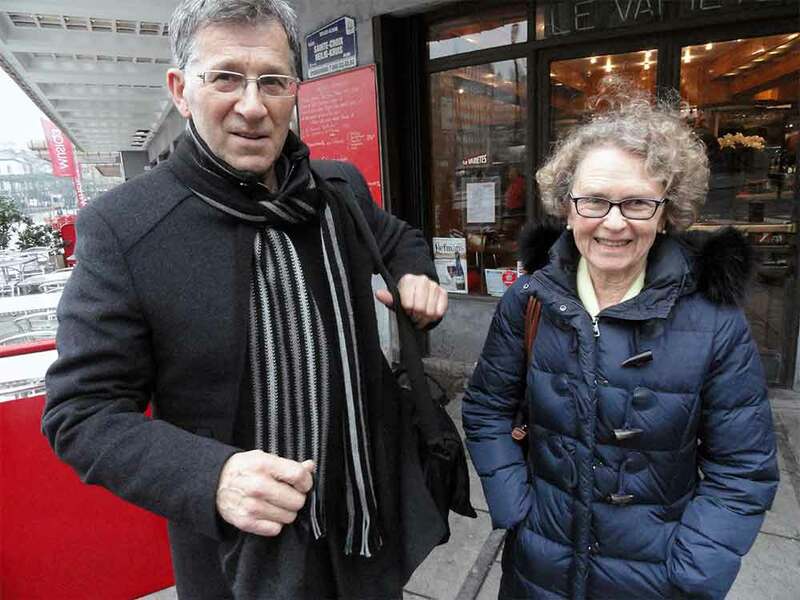 An official explanation was not released, but unofficially it was the result of the pressure imposed by the Green French party, of which Michele Rivasi is a member. 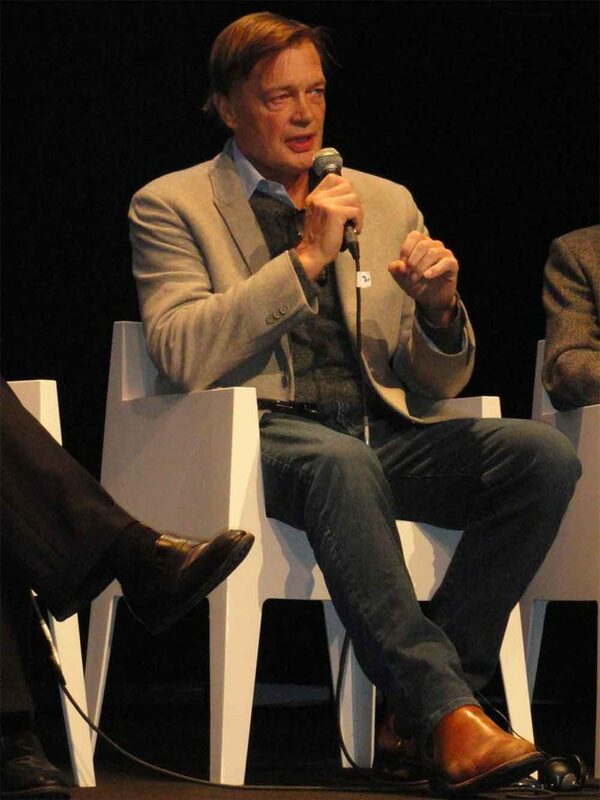 A screening of “Vaxxed: From Cover-Up to Catastrophe”, a film by Andrew Wakefield, was held at the first part of the event. 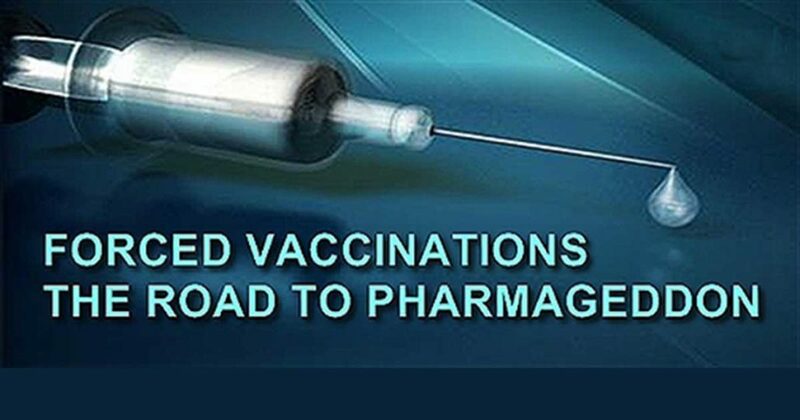 It is a documentary uncovering scientific research manipulations at the CDC, the leading institute for public health safety of the United States, all with the purpose of covering up the link between autism and measles, mumps and rubella vaccines. On the one hand, the film gives an account by a scientist who participated in the research and opposed false interpretation of the findings. On the other hand, it shows the scandalous obstruction of truth by the medical establishment and vaccine propaganda. At the same time, it tells distressing stories of the parents whose children were harmed and who are convinced vaccines caused it. 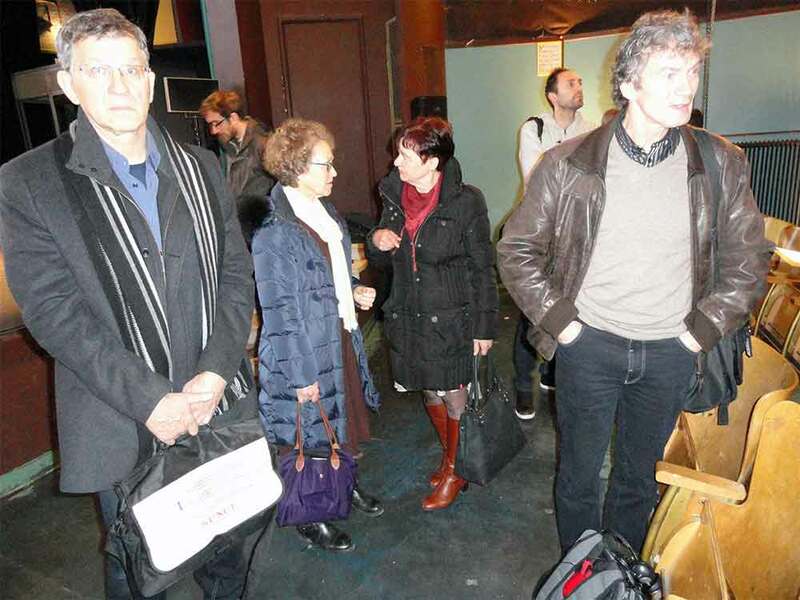 The film struck a chord with the audience, which was evident by the prolonged silence after the screening ended. More than a minute passed before the applause. 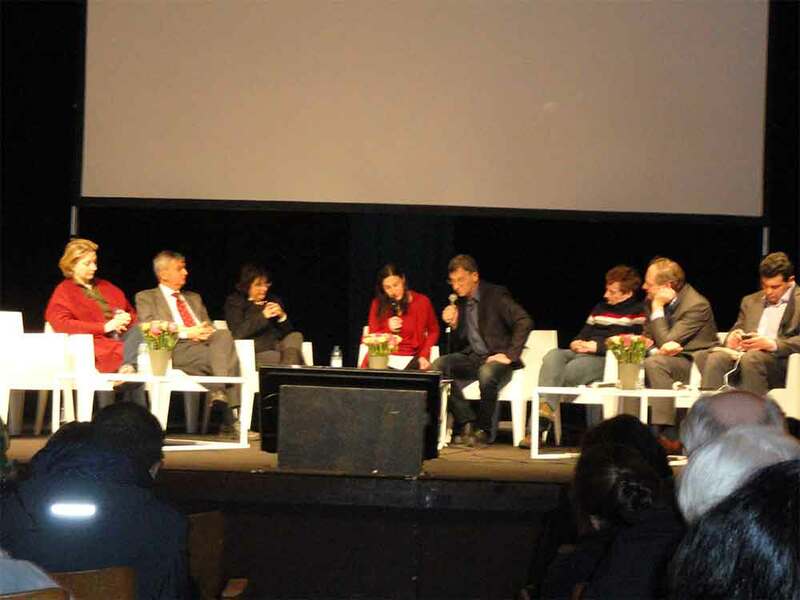 After the screening, prominent individuals discussed not only the film, but also the issue of vaccination in general, and took questions from the audience. 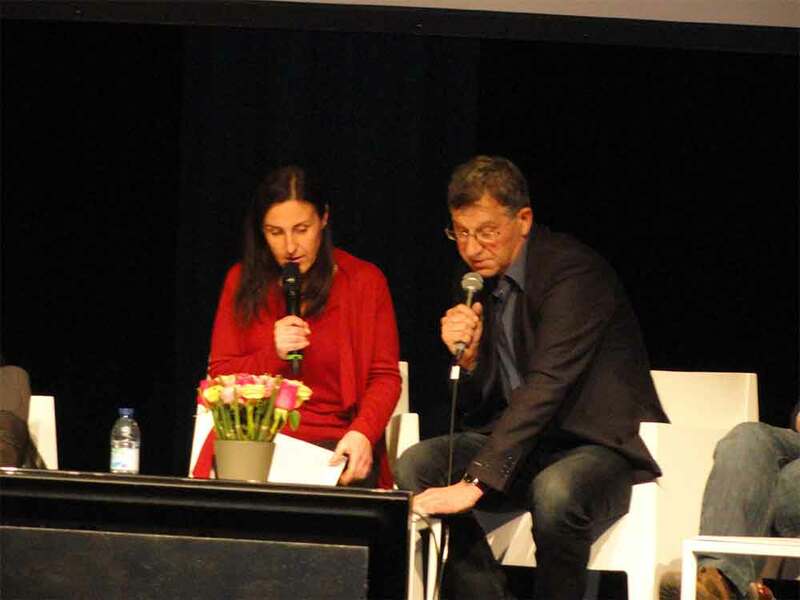 Michele Rivasi’s primary message was that the issue of vaccine safety should be addressed in the agenda of a professional and political debate. 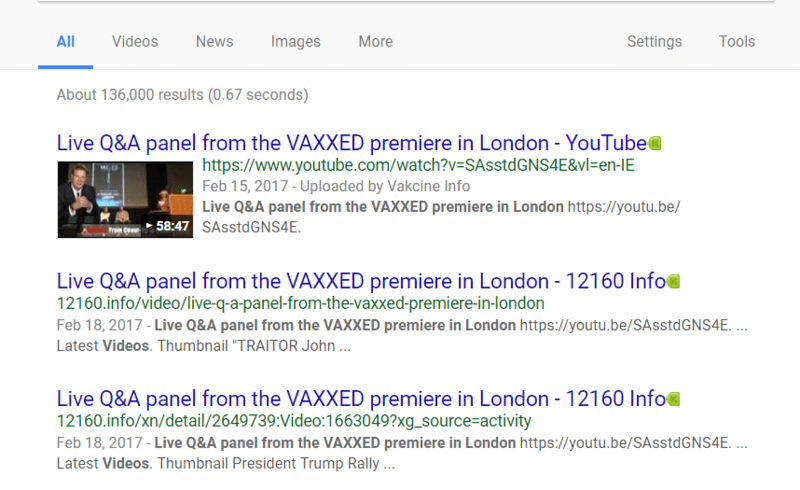 Director Andrew Wakefield gave a short account of his engagement with the topic of vaccination, including the unfounded defamation and discrediting he has experienced as a scientist. Children’s well-being was the exclusive motivator for the film, and the main proof that everything it shows is true is the fact that no one has yet filed a suit against him for the film’s content. He discussed the situation in the US where the number of autistic children is increasing rapidly, which is putting states like California on the verge of bankruptcy. Had Hillary Clinton been elected at the last election, the nation would have ended up in the hands of pharmaceutical companies. But the situation in the US is rapidly improving, not only in the sense of public awareness but also reactions by pediatricians and even politicians. When asked by Dr. Gajski whether he believed MMR vaccine to be the cause of autism, considering that clinical studies have not been conducted, he was pleased that someone asked that question and replied that nothing could be claimed with certainty but added he believed that is the case. 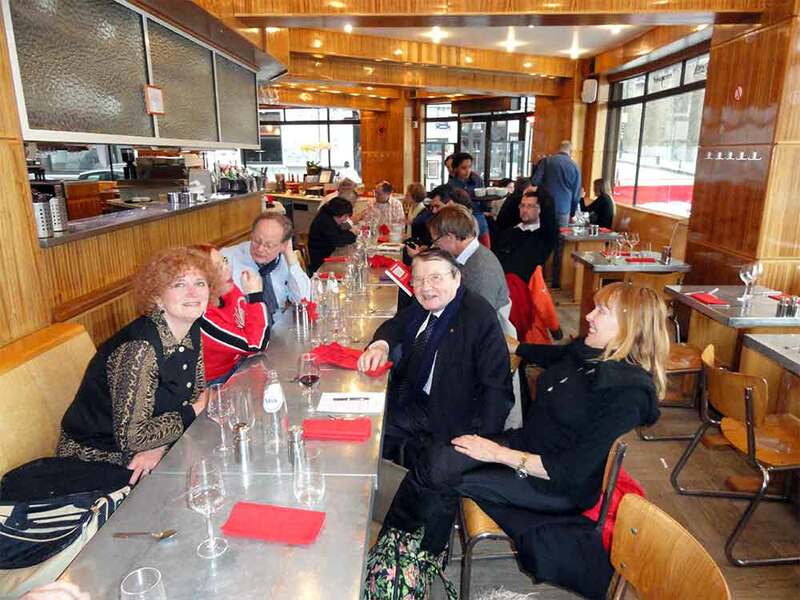 Luc Montagnier, the third discussion participant and Nobel Prize winner for discovering the causative agent for AIDS, also expressed his concern about vaccine safety. He presented his research findings which suggest the link between microbiomes, i.e. intestinal flora, and immunity. Changes in intestinal flora play an important part in etiology of autism, but at the same time interventions in that area can cause its regression; therefore, autism can be treated. When it comes to the issue of vaccination, the Nobel laureate highlighted the importance of the 4 P’s – prevention, prediction, personalization, and participation, latter meaning the involvement and active participation by the parents. 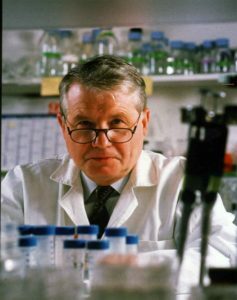 Luc Antoine Montagnier (born 18 August 1932) is a French virologist and joint recipient with Françoise Barré-Sinoussi and Harald zur Hausen of the 2008 Nobel Prize in Physiology or Medicine for his discovery of the human immunodeficiency virus (HIV). A long-time researcher at the Pasteur Institute in Paris, he currently works as a full-time professor at Shanghai Jiao Tong University in China. 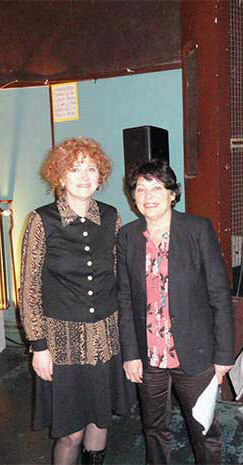 In 2009, Montagnier published two research studies that some homeopaths claimed as support for homeopathy. Italian scientist Stefano Montanari presented findings from research conducted with his wife; both are nano technology researchers. They proved the vaccines were contaminated with nanoparticles of numerous metals whose presence could not be explained, but it is well known those particles can cause serious health problems. Professor Montanari demands that regulatory bodies approve only vaccines that are not contaminated. He claims doctors do not know how to vaccinate; they should be educated on how to eliminate contraindications and existing resistance prior to vaccination. 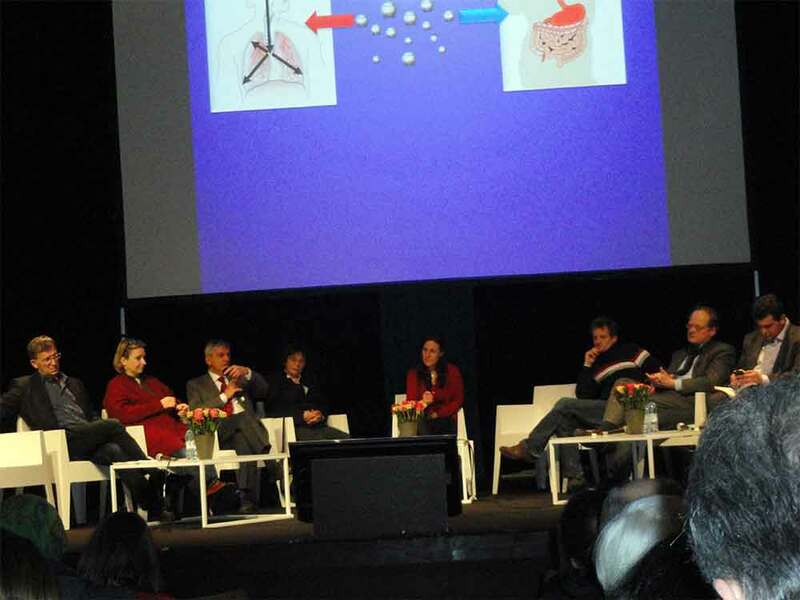 A round-table discussion on vaccine safety was held at the second part of the event. Experts and activists participated in the discussion, including Srećko Sladoljev, the immunologist from the Institute of Immunology, Zagreb. Dr. Sladoljev made introductory remarks on the long tradition of preventive medicine in Croatia and emphasized that until very recently it did not include vaccination. He talked about the tradition and quality of the Institute of Immunology products, the “swine influenza” affair and the fight to preserve the Institute. However, the point he made was that needle vaccines should not be administered. The reason behind that is that unlike natural short-term contact with causative agents, needle vaccines administered through the skin into the interstice emit aggravating matter many months after, leading to dysregulations in the immune system and organ damage. German pediatrician Stefan Schmidt Troschke talked about scientific controversies surrounding vaccination and independent studies showing decreased rates of asthma and allergies in unvaccinated children. A movement advocating adequate and independent research into vaccination side-effects should be created at the EU level. Scientific and medical communities need more honesty to regain the public’s trust. Other round-table discussion participants talked about different experiences in this area, for instance how the French government caved under public pressure and agreed to introduce 3-valent vaccine (DTP), alongside the existing 6-valent vaccine. The most important points and guidelines for future activities were best laid out by the president of the European Forum for Vaccine Vigilance Kris Gaublomme. He highlighted the increase in the incidence of autoimmune diseases, as well as neurodegenerative diseases, and ample medical literature connecting those to vaccines. He talked about fear mongering as a “modus operandi” of the pharmaceutical industry and medical professionals and how the legal obligation to vaccinate impairs human rights. In that sense, the most important thing to achieve is freedom of choice. Following that, we need a system to adequately recognize side-effects by conducting research spanning multiple years; neurotoxicity of hepatitis vaccine manifests only after 3 years. An appropriate system for registering side-effects is essential. The issue should be discussed among professionals and the public. Pharmaceutical companies have to pay compensation for damaging health and the World Health Organization has to operate without conflict of interest. Also, it is important to lobby at the political level. Nevertheless, “don’t expect much from doctors and politicians”, said Kris Gaublomme, “only we, informed and determined regular people, can change things”. 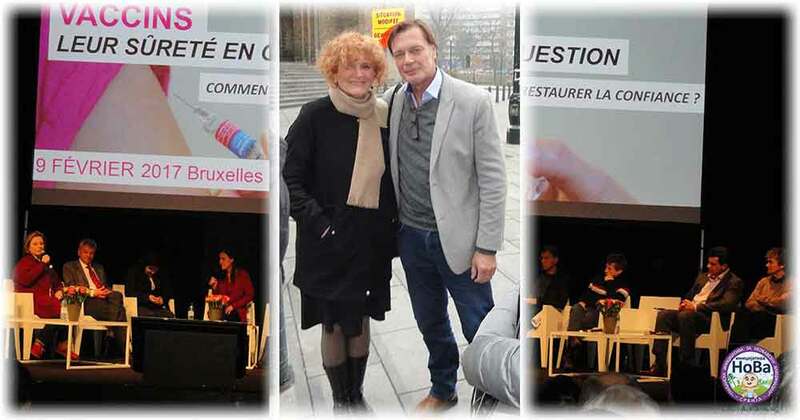 Vaxxed: From Cover-Up to Catastrophe Check out this really great coverage of the Vaxxed Brussels screening and vaccine safety debate by Global Media Planet. 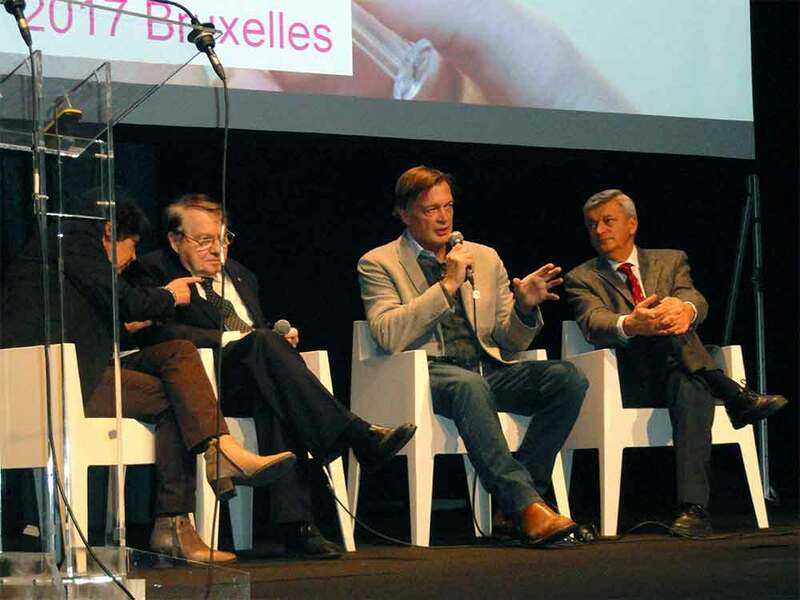 The event was a huge success, and was the first of many Vaxxed events to come in Europe! Important! Sign and Share the Petition – Pls Go Viral! 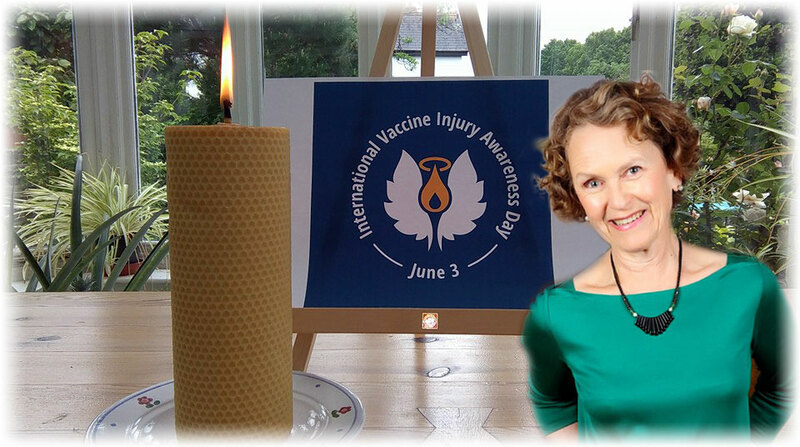 Secretary European Forum for Vaccine Vigilance (EFVV) London, United Kingdom, started this petition with a single signature, and now has 40,751 supporters. Start a petition today to change something you care about. BALKAN is standing up for freedom of choice! STOP mandatory and FORCED vaccination! Vegetarians and vegans are dumb and stupid? Breaking: MERCK FAILS TO WIN FDA PANEL BACKING FOR VYTORIN HEART CLAIM! The most powerful entity on earth: TELL LIE VISION! Three things cannot be long hidden: the Sun, the Moon, and the TRUTH!